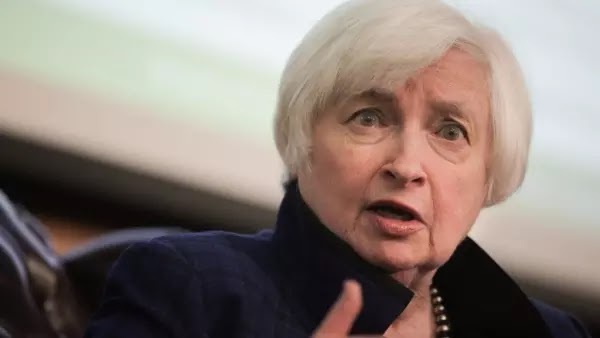 Chief of US money pumping, Janet Yellen. Four mutual-fund companies have marked down their investments in Uber Technologies Inc. by as much as 15%, reports The Wall Street Journal. Vanguard Group, Principal and Hartford Funds all marked down their shares by 15% to $41.46 a share for the quarter ended June 30, according to the fund companies’ latest disclosure documents. T. Rowe Price Group Inc.cut the estimated price of its Uber shares by about 12% to $42.70 for the same period,. Uber’s shares don’t trade publicly, so the mutual-fund companies that hold them must estimate the shares’ worth each quarter. Seven mutual-fund companies had mostly maintained a $48.77 share price since the fourth quarter of 2015, when Uber first sold its shares to investors at that price, according to WSJ. Uber lost more than $3 billion last year and $708 million in the first quarter, according to WSJ. You can't absorb these type losses unless the Federal Reserve is pumping an awful lot of new money, which they are. Uber still had about $7 billion in cash that it has raised thanks to the Fed fast flowing spigot but WSJ reports they are in the market looking for more money.